It may be a bizarre title, but bear with me and it may make some sense. 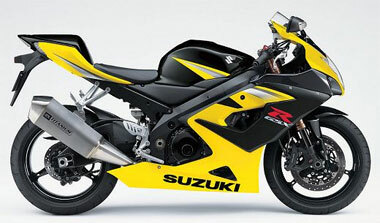 Last year, you may remember, we waxed all lyrical about the GSX-R 1000 K4. It was a monster - savagely fast, massively powerful and as easy to ride as an easy to ride thing. Well, this year's K5 model takes the game up a level. Or two. On the basis that far too much is clearly not enough, Suzuki's engineers have extracted more power and torque out of the 1000cc motor. And made it more accessible to boot. And because the old bike was, at 168kg, a bit of a porker, they shed some weight. And made the brakes even better. And made it more comfortable. In fact, they've made a completely new bike. Opinions are divided on the looks, especially of the exhaust. All I can say is that it looks much, much better in the flesh than it ever will in pictures and it sounds much nicer than a production exhaust system has any right to sound. This is, sadly, a fairly short test. Premier Suzuki in West Wickham (0208 777 8040) loaned us their demonstrator for a couple of days while we were waiting for a longer test. Then things got in the way. The ground, mainly, as you'll shortly be able to read elsewhere on the site. Anyway, during the test we managed to commute, have a bit of a hoon and ride up to Birmingham in the sunshine. And back in the pouring rain. At night. Lovely. First thing you'll notice about this bike is just how comfortable it is. Everything fits really well. You don't need to be a contortionist to get on, the seat is nice, the pegs are high but not unreasonably so and the clocks are really, really nice to look at. The only minor fly in the ointment is the mirrors which, while good for the class, simply don't tell you enough about what's coming up behind you. The next thing you'll notice is the noise. Oh. My. God. Someone at Suzuki clearly went on the "Evocative motorbike noises" course. And passed. With merit. 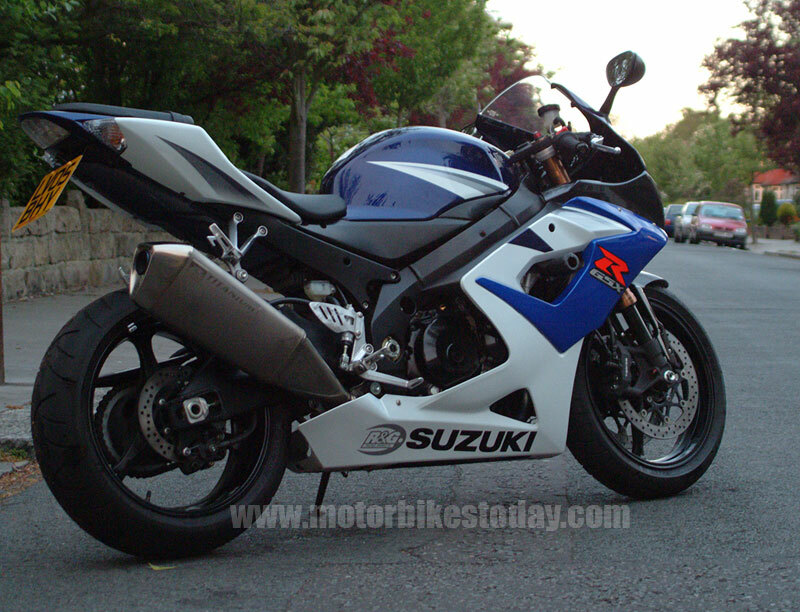 Because the GSX-R 1000 sounds fantastic, even with the stock can. Loud enough to be interesting, deep enough to be inoffensive and agressive enough to make people get out of the way. And yet still legal. I'm grinning like an idiot as I pull away and start my first journey. Yes, a rush-hour commute through the middle of London. And guess what? For a bleeding edge sports missile the GSX-R is surprisingly good. OK, so I'm used to commuting on a GSX-R 750 anyway but the 1000 should just be too wide, too heavy, too damn' powerful, right? Um, no. A slightly overenthusiastic application of throttle sees a large slide going round Marble Arch but that's my fault entirely. No, the only real drama comes when some vigorous acceleration sees the front come up rather hard as I change gear. As I'm changing from fifth to sixth at this point it's a little, um, exciting and warrants a major attack of circumspection for the next few miles. Filtering through traffic is easy, the controls are light and the bike is massively stable throughout the performance envelope. An opportunity for a bit of free riding shows the handling to be a revelation - at least the equal of it's smaller GSX-R siblings and far better than any other four cylinder bike I've ridden. The brakes are astonishing, hauling the big bike down from stupid speeds and making the front tyre howl with just a couple of fingers' pressure. And as for the performance. Well, I don't think I need to say too much about it. Quite simply, this bike is a missile. I was actually rendered speechless by the sheer ease with which it gathered speed. In any gear at all. It's just incredibly fast and yet remains strikingly easy to ride. A longer ride showed a surprisingly comfortable side to the bike, though the practical bungee hooks of the old model have disappeared, making securing luggage a bit of a challenge. But that's hardly what you buy a bike like this for, I guess. And coming back in the driving rain showed that actually, ridden with a bit of respect it's pretty docile. The headlight is OK as well, though I do wish someone at Suzuki's horn department would go on the same course as the exhaust and intake guys because the thing they fit sounds like it belongs on a Tomos moped. I mentioned the mirrors earlier. Forget it - on the open road you needn't worry what's behind you because it isn't about to catch you up and, in fact, if you can see it you probably just passed it. Though it might be nice to see the blue lights behind you before they set-up a roadblock, of course. So the long and short of it is this. If you're an experienced rider and have a modicum of common sense then there is, in my opinion, no better motorcycle on the road today. 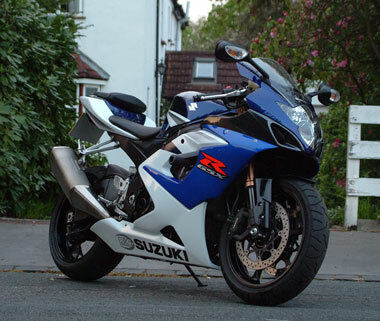 The GSX-R 1000 K5 will do everything you could reasonably ask of it - though fitting knobblies and taking it green laning might just be pushing it a little - and do it far better than you can to boot. It's blindingly, stupidly fast and incredibly easy to ride at 9/10ths all day. Even at 7/10ths you're still going quickly enough to pass pretty well anything and to get nicked if you're not on the ball. Open the throttle and it's Milennium Falcon fast, though mercifully devoid of Wookies. But if you're someone who needs the biggest and fastest bike but perhaps, in the cold light of day, lacks the experience to make the most of it, I'd respectfully suggest you look elsewhere. Because it may be mild mannered Doctor Jekyll at first, but take any liberties and it will instantly and viciously snap into nasty, aggressive and frankly terrifying Dr Hyde. Who might just pull your arms off and beat you to death with the soggy ends. Thanks again to Premier Suzuki of West Wickham, Kent for the loan of their test bike. Copyright © Motorbikestoday.com 2005. All rights reserved. Users may download and print extracts of content from this website for their own personal and non-commercial use only. Republication or redistribution of content, including by framing or similar means, is expressly prohibited without the prior written consent of Motorbikestoday.